The Garden Cider Company makes cider from garden apples, made from apples local in Surrey. Gluten free. 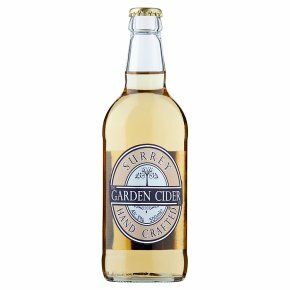 Suitable for vegans, vegetarians.Surrey Garden Cider is our first cider, clean, crisp and medium dry. Made only from 100% fresh apple juice, pressed and naturally fermented on site. The Garden Cider Company makes cider from garden apples, local to us in Surrey, sharing the cider we make with those who give us the fruit. We are very proud to use apples that would otherwise go to waste, if you have spare apples that you would like to turn into cider then please get in touch and join in.